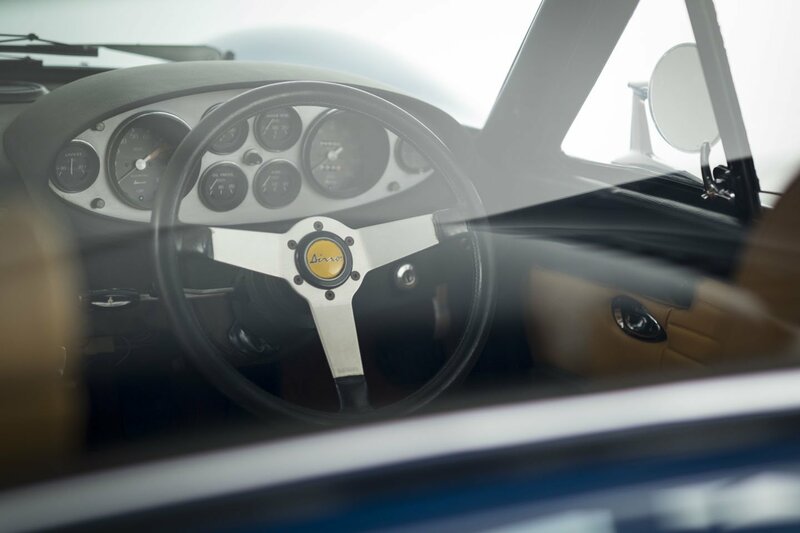 No small Ferrari has captured the imagination of afficionados and newcomers to the Maranello marque with such enthusiasm. 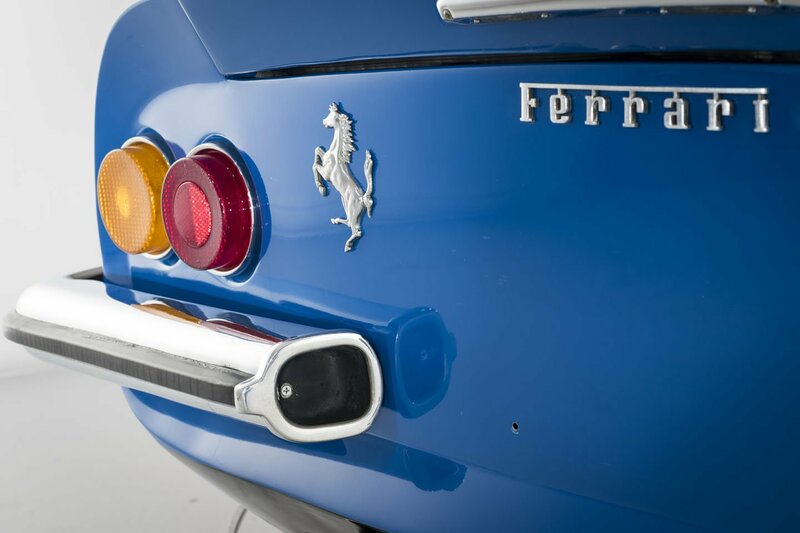 Ferrari and their appointed styling house Pininfarina had created an icon. 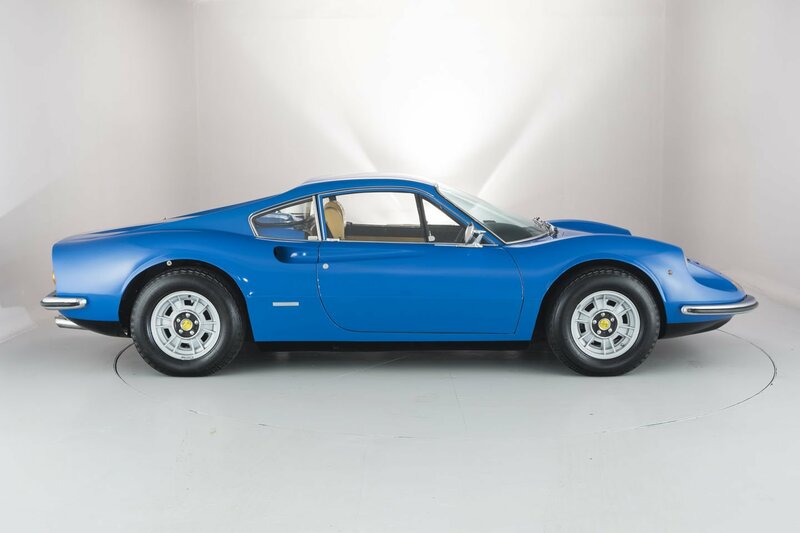 The new Dino 246GT was an absolute delight from all angles; its beauty, handling, sound, comparative affordability, and mid- engine layout was combined with unusually good all round visibility. 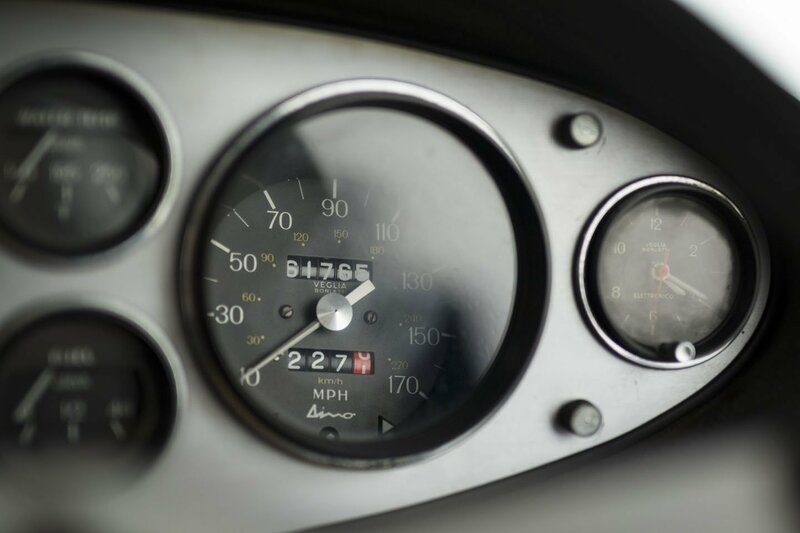 Its reliability was said to be the first car from Ferrari that could safely be kept as the owner’s only car. The 246 Dino engine, with four overhead camshafts, was mounted transversely behind the driver and in front of the rear axle. Power to the wheels coming via drop gears to the transverse 5-speed gearbox, in unit with the differential and engine sump. 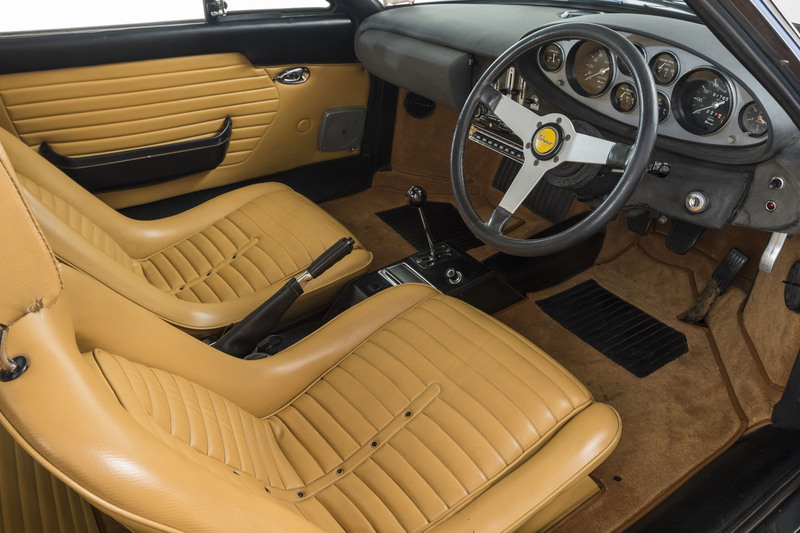 Introduced at the 1969 Geneva Motor Show, detail changes for the 246 included new seats, iron engine block, bolt on wheels, a steel body, more power, better torque and a lower price, a revelation in terms of road holding and stability, nothing had been made like this before. 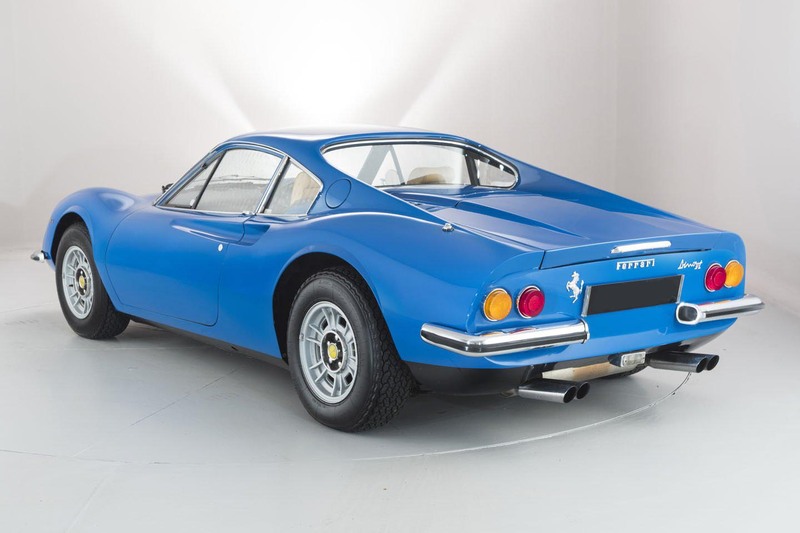 Styled by Pininfarina, and stunning from every angle, the Dino must surely rank as one of Ferrari’s all time classics and without doubt an appreciating asset. 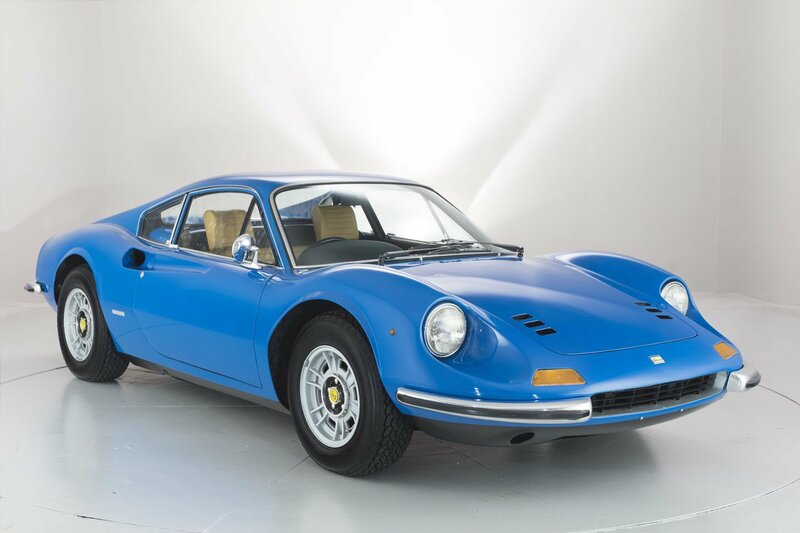 This is without doubt one of Ferrari’s most highly sought- after models; chassis number: 05206 with its correct matching numbers represents a fabulous investment for this quite exquisite car. The vehicle will be offered with a new MOT and a 12-month comprehensive warranty.